Where will transit take you? The Berkeley-Charleston-Dorchester Council of Governments (BCDCOG) is working to answer that question, which will develop a long range vision for transit throughout the region. 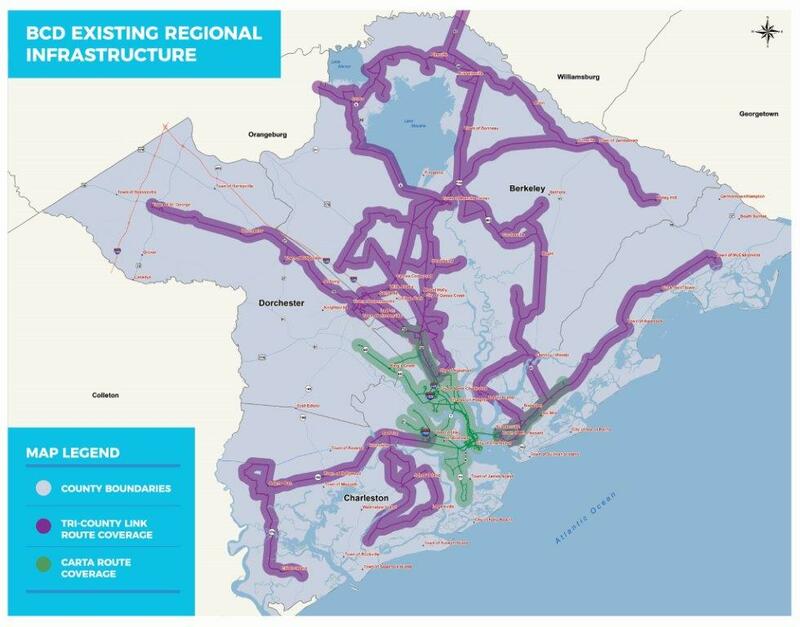 Together with the Long Range Transportation Plan, the Regional Transit Framework Plan will set the foundation for transit investment as part of the overall multi-modal transportation system. The eight month study will look at how we travel across the region and where current and future development patterns are favorable to high-capacity transit services. Throughout the process, there will be opportunities for the public to provide input at public events, online meetings, a transit-focused charrette, and a public open house. Identify the regions transit needs and ideals. Incorporate existing regional plans and priorities. Prioritize transit improvements and solutions. Stay tuned to this website for project updates, documents, online meetings, and other ways to stay engaged. Do you have a recommendation for transit in our region? Would you like to be added to our email list for project updates? Send us an email. A Public Open House was held on June 6th. Click here to view a map of the promising corridors moving forward for further evaluation. A public open house and online meeting was held from January 29th to February 27, 2018 to review the transit corridors and potential modes for consideration.